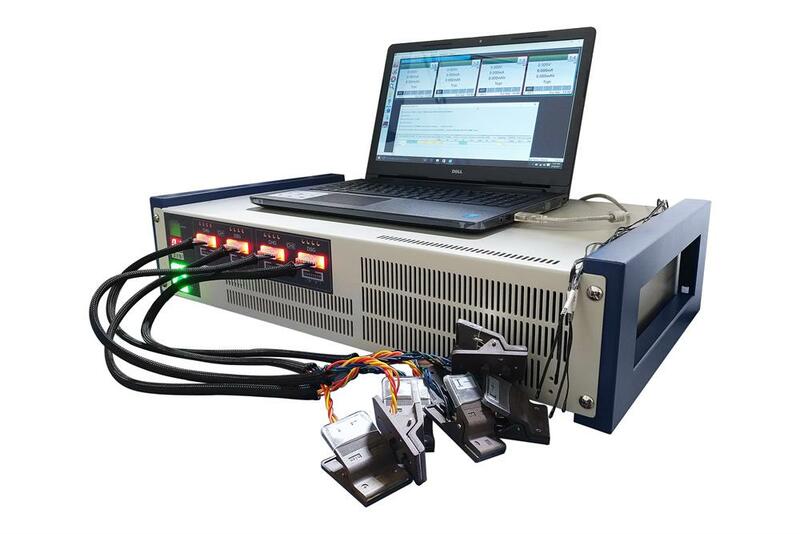 BST8-20A-CDS is a four-channel battery analyzer suitable for most applications in battery testing fields such as electrode materials research, battery performance & cycle test, small-scale battery formation, capacity grading, battery pack testing and etc. The purchase comes with a brand new laptop with Microsoft Windows with 30 days free trial Microsoft Excel and the latest version of controller software installed and calibrated for immediate use. Benefits from the implementation of four independent constant-current & voltage sources, each channel can function independently without interfering each other.